We’ve been traveling carryon-only for decades. Not just because it’s more eco-friendly, but because we don’t want our luggage (and valuable gear) getting lost. Along the way, we’ve realized that the best carryon luggage for us needs to meet a few basic requirements. First and foremost, its size must meet the luggage restrictions, which can vary widely from airline to airline. 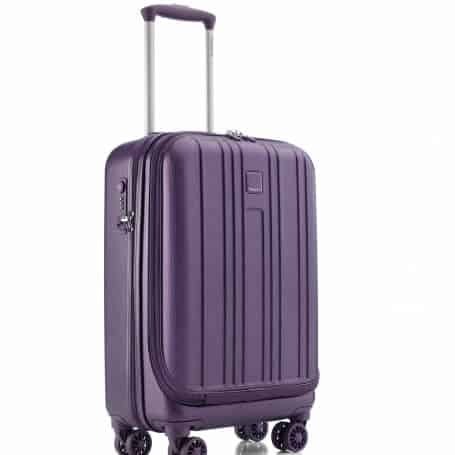 Because size is the primary consideration, carryon luggage should boast a lot of features, especially internal organization and security elements. Since we often travel to off-the-beaten-path destinations such as Antarctica, Jordan, and Rwanda, our carryon luggage must be durable enough for rugged outdoor adventures. We’re not backpackers by any means, but we rarely travel without one. RYU (Respect Your Universe) is best known for their athletic apparel, and the 18-liter Quick Pack Lux is designed for active lifestyles. It’s got clean lines and a modern design that looks equally stylish on the street or the trail. The molded internal shell keeps your gear protected, with a sleeve large enough for most 15-inch laptops. 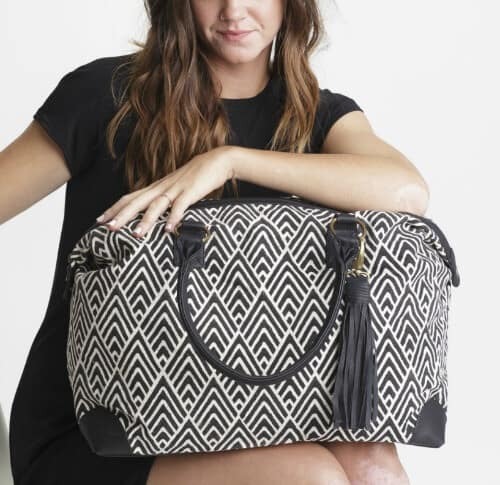 Measuring 20″ x 11″ x 6.25″, it’s also got a drop front opening, an internal pocket for accessories, and a zippered pocket on the lid for small items. The water-repellant canvas exterior is designed for durability, with leather straps that mold to fit you. Measuring 21.5″ x 15″ x 5″, Incase’s EO is even larger than the RYU backpack. The carryon is designed for quick, easy TSA screening, with a compartment large enough to hold a 17″ laptop. 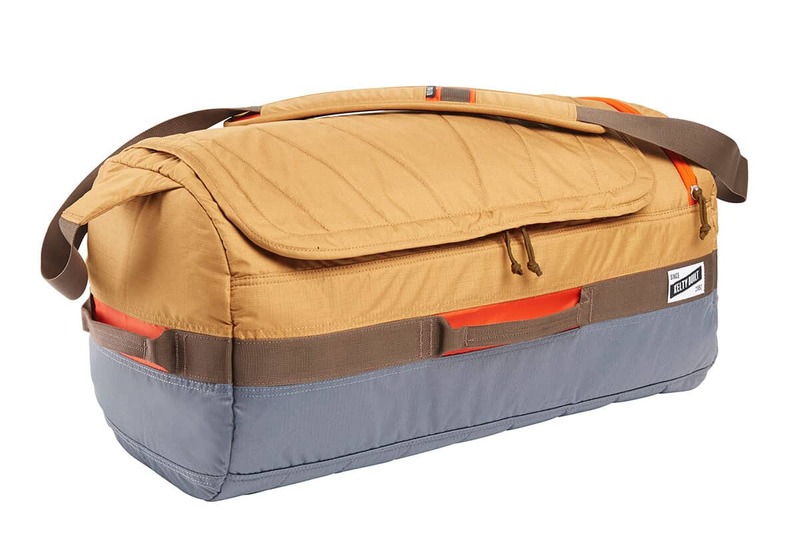 It also boasts an expandable main compartment that increases storage capacity by 35%, with organizer pockets designed to stash electronic accessories and other essentials. The weather-resistant exterior is sturdy, with padded shoulder straps and breathable mesh back panels for comfort. All in all, it’s a perfect bag for weekend getaways. We’ve used Eagle Creek’s 4-wheeled roller bags for several years. With their Mission Control bag, they’re vying to become our go-to backpack as well. The pack is designed to withstand even our most rugged adventures, with water-repellent Bi-Tech fabric, crush-resistant electronics compartment, and a rain fly cover for added protection. Measuring 21.5 x 12.5 x 8.25″ and expanding to 42 liters, it’s the largest carryon backpack we’ve tested, with a 17″ laptop sleeve. But with its moisture-wicking mesh back panel, compression straps, and external lash points, it’s a surprisingly comfortable carry. 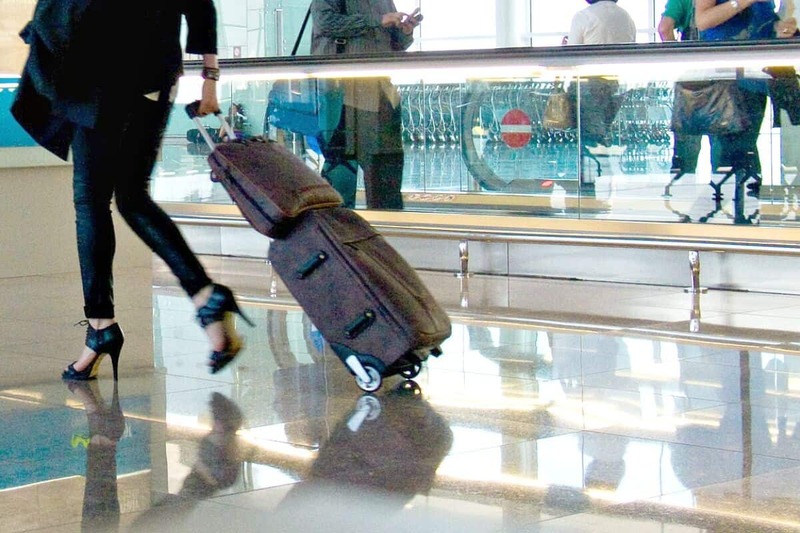 Though we tend to prefer backpacks and messenger bags to duffels, there’s no denying the latter’s place in our stuff-it-under-the-seat world of air travel. Solo’s Montauk is part of their upscale Hamptons Collection, whose design was inspired by the exclusive seaside retreat of the rich and famous. With gunmetal hardware outside and tartan blue and tan cloth interiors, it’s an upscale bag for those who are just as concerned with fashion as function. Measuring 24.25″ x 15″ x 8.75″, with zippered organizer and removable padded 15.6″ laptop compartment, it’s got a roomy interior perfect for weekend getaways. Joyn is one of those lines we love as much for their mission as for their products. The Fair Trade Federation Member is a family business started by Dave & Melody Murray, who sold all their stuff and moved to India with their two sons in 2010. They partnered with traditional textile artisans in Rajpur, and Joyn offers them education, training, a fair wage, food, and medical care. This beautiful hand-woven bag is made from vegan leather and hand block-printed cotton fabric. 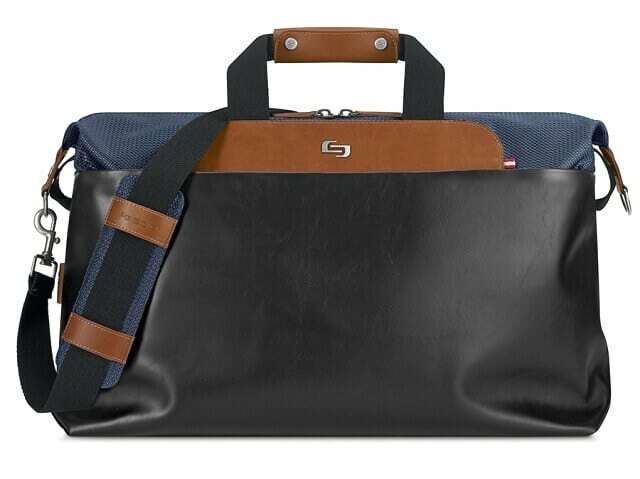 Measuring 23″ x 15″, the bag’s fully-lined interior has three pockets for organization. In short, it’s a great-looking bag that you can feel good about buying! While Joyn is clearly aimed at the ladies, Damn Dog is the rare accessories line that seems squarely focused on the fellas. Named for the founder’s love of his beloved dog, Dozer, the brand donates a portion of every purchase to the Louisiana SPCA. 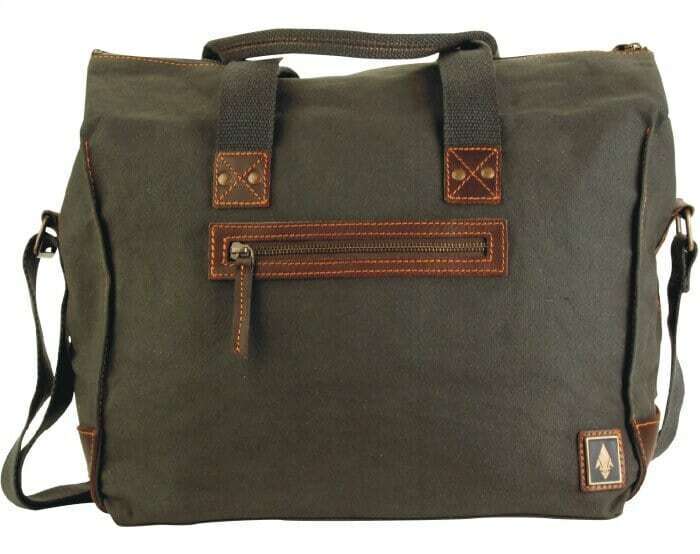 Measuring 15″ x 14″ x 7.5″, their 26-liter Under Gear Box is billed as “the best damn duffel you’ll ever hold.” It’s a handsome bag, with swamp canvas body, double-stitched stress points, and riveted reinforcement. But the devil’s in the details, including a mechanic-style top for easy packing, hidden passport pocket, and tons of internal pockets for organization. 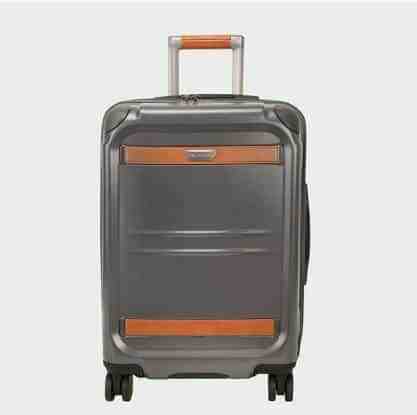 It also boasts a feature EVERY small bag should have– a strap that slides easily over wheeled suitcase handles. Part of Kelty’s “Built to Wander” collection, this 21.5″ x 11.5″ x 11.5″ beast provides a whopping 40 liters of storage space. It’s not my favorite in terms of looks– the blocky design isn’t my style– but what it lacks in fashion is makes up for in features. 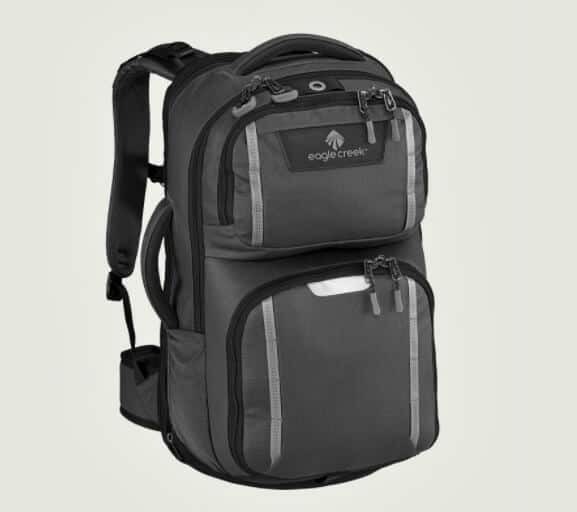 The padded exterior and AirMesh shoulder strap makes for a comfortable carry, with convenient grab-and-go handles on all four sides. The U-zip access to the main compartment makes for quick packing/unpacking, with two internal accessory pockets, a zippered end pocket, and a hidden safety pocket for stashing your valuables. It’s probably not the sort of bag we’ll use regularly, but its light weight and ability to roll up for storage make it a solid bag for adventurous guys on the go. Born in Belgium in 1993, Hedgren’s minimalist design style is finally available in a hard-side spinner. Measuring 21.65 x 7.87 x 13.39 inches, the Boarding S is a slick carryon that weighs in at less than 6 pounds. Yet it boasts a 100% polycarbonate case that’s designed to stand up to the bumps and bruises of international travel like a much heavier bag. Available in 3 colors, durable water repellent, silent wheels and a 3-number TSA-approved lock, it’s a sleek spinner that rolls just as smooth as it looks. As I mentioned above, we’ve been Eagle Creek loyalists for years now (and no, we don’t get paid for saying so!). So it’s difficult to review new products such as their Expanse AWD International Carry-On objectively. With measurements of 21.25″ x 13.75″ x 9.75″, the roller squeezes a lot of features into its 6 lb 1 oz frame. 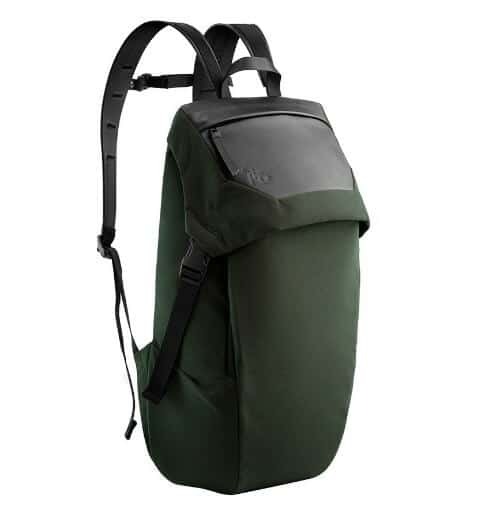 On the outside, there’s abrasion-resistant Bi-Tech Armor Lite technology, heavy duty all-terrain wheels, a vertical quick-stash pocket for easy access, and lash points for attaching water bottles and such. 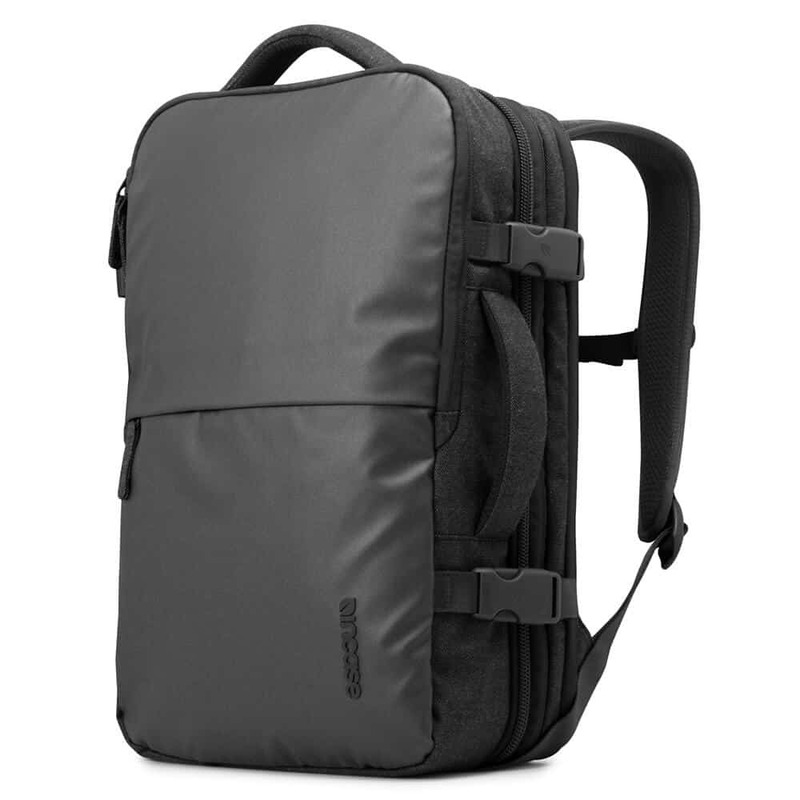 The 36 liters of expanded storage capacity includes five pockets, internal compression straps, and a padded tablet sleeve. For security, there’s a Central Lock Point with Secure Zip Toggles to protect your valuables. But our favorite feature is Eagle Creek’s “No Matter What” warranty, which ensures your bag will be replaced or repaired if it gets damaged, no matter the cause! 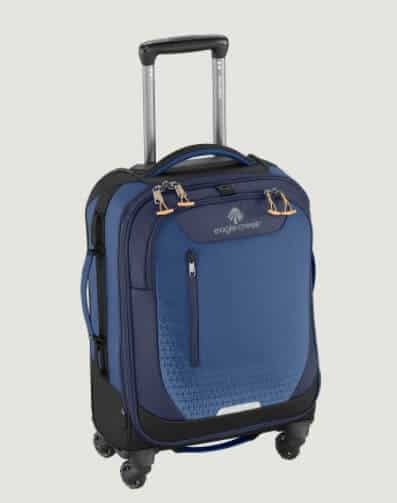 Despite this California lifestyle brand’s posh name, the Ocean Drive 21″ spinner is actually the most affordable upright carryon we tested this month. The 100% virgin polycarbonate exterior is a beauty, with a durable but sleek Silver or Sandstone shell and protective corner guards. Details such as the TSA-compliant lock, ergonomic retractable handle, and multiple carry grips offer practical functionality to the flashy appearance. We also loved the fact that a quick zipper pull expands the case by 2 inches. The internal organization is excellent, with compartments separated by a zippered partition, mesh wall pocket, TSA-friendly pouch for toiletries, and a built-in suiter loop for hanging clothes. We are open to discussing advertising, sponsorships, brand ambassadorships, freelance work, speaking/teaching engagements, and consulting opportunities. Please contact us at [email protected]GreenTravelMedia.com for more info.